This pastry recipe is for pastry vol au vents. This vol au vent recipe can be used to make vol au vents that can be filled with foods of your choice. This pastry recipe is for making pastry fleurons, which are a great accompaniment to many dishes. This pastry recipe is for a sweet pastry that can be used to make great tasting cakes such as mince pies. This pastry recipe shows how to make a choux pastry. 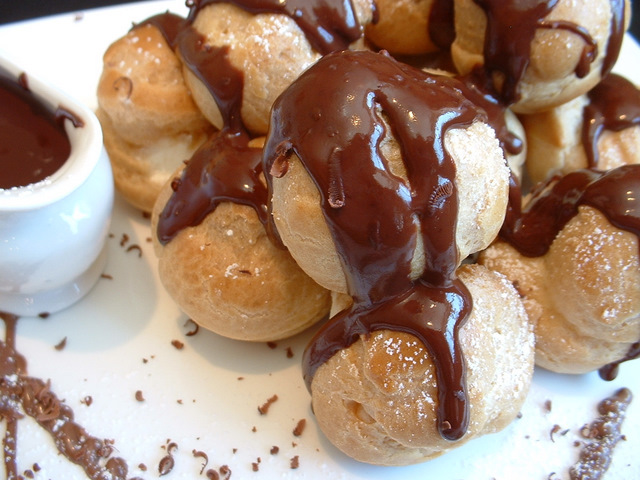 This choux pastry recipe can be used to make delicious recipes such as profiteroles. This pastry recipe is for a suet pastry and can be used to make great dishes such as steak and kidney pudding. Puff pastry is quite a luxury pastry, not difficult to make but it does take a long time from start to finish (roughly about 3 hours), due to rolling and resting the pastry for 30 minutes between 6 rolls of pastry. There are several types of pastry that we can use in the kitchen. It is very easy just to pop out to the local supermarket to buy packets of ready-made pastry, but we can make most pastries quite quickly ourselves at home, even more so if we use a processor.